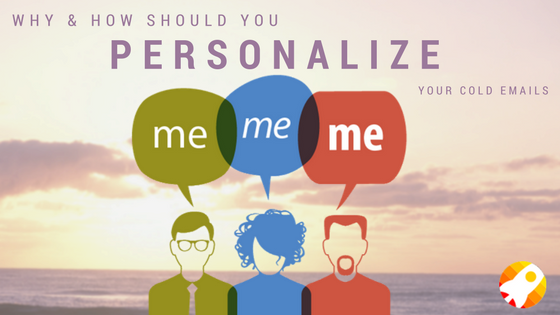 Why & How should you personalize your cold emails? Hacks to Personalize your Cold Emails ! In the wonderful world of sales & marketing, cold emailing is a regular task. The Scenario is changed now, it’s not what it used to be. Generic, mass email messages aren’t as effective these days. Research shows that customers have much more enthusiastic responses to personalised emailing, increasing| click-through rates by 14 percent and rate of prospect conversion by 10 %. When you commence mailing personalised emails to some stranger, there’s something that’s lacking and factors those are needed to grow: Reliability, Trust & Confidence. Most of the people skip this step, and it’s really silly. It Is actually like keeping a flower boxed up and anticipating it to grow nevertheless. You can’t jump into asking for something from a prospect and assume that custom details like Company Name are enough to win this stranger over. Those tactics no longer build trust, and they don’t get the answer back. Tabulated below are five powerful ways to personalize your cold emails , powered by psychology. Try implementing them and watch the reliability, trust, confidence (and your reply rates) grow. 1) Start with your buyer persona. It’s elemental to understand your prospects personality before you start looking for a person to talk to or planning to communicate your message.. 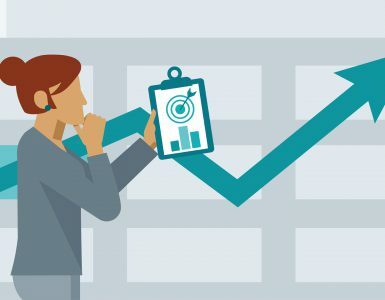 In short a buyer’s persona should include details like the right person, the right role within the company, the right verticals and the right company size. And filing it helps you align with marketing and avoid losing time selling to the wrong audience. Once you fully understand the main points associated with your ideal buyer, you can start pulling the leads together. 2) Create your list of leads. This one is no brainer, you need to have a list of leads. A social selling tool like LinkedIn Sales Navigator can help. This lead builder tool lets you sort the prospects by industry, region, company size and keywords and then scans the entire LinkedIn database to find your matching profiles. If the initial list you get is very exhaustive, you can filter it by adding criteria. From there, start scanning the individual profiles. 3) Three key points in less than 3 minutes. Again, you’re just determining three key personal facts to start. 4) Generate Personalized Email Content. This is probably the most important and maybe the most fun part of cold emailing. Sure, you might get a couple of people who nip if you send out 5,000 bulk emails having the same message, but if you spend some extra special time and reach out to your prospects with 50 really personalized emails. You’ll see a much higher rate of clicks so the conversions. You can check our blog on best cold email writing tips for this. Subject line: Don’t get this too sales-y. Try to maintain it casual, yet appealing and fit one of your three relatable facts in there. Greeting and intro: Casual again, and begin with the relatable bit of information. Transition: Transition from the relatable aspect to your main point. Clarify the reason behind your email. Overview: Give a brief overview of what your company does indeed and how it could help this person. Network: Share a few names or projects they might heard of. Call to action: Recommend a particular day and time to have a telephonic conversation. 5) Follow up and take action. If you do not get a response the first time,follow up. Put another personal comment — maybe even a hilarious touch, but only if you will get a smooth way to fit it in. When you do get a response, act straight away even if it’s not the response you were looking for. Send a meeting invite for a lead who agreed to talk, build a new email if you’ve been referred to someone else, but ensure to emphasize that you’ve been referred to that person or if required, mark the business lead as unqualified in your database. The most useful tricks you can use in personalizing cold emailing are creative imagination and personality. That’s how you will knock out your competitors in cold emailing sales game. 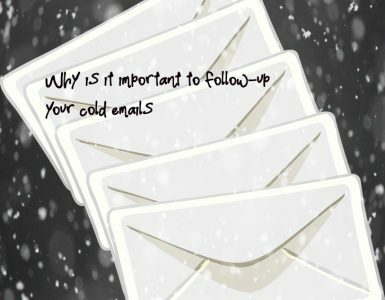 Why and how should you follow up on your cold emails ? Why is it important to follow-up on your cold emails? Are you a Cold Email Marketer? Facts You should Know !! How BIG should my Cold Email Campaign be? !! Cold Email Clichés, or What Your Prospects Have Seen Too Many Times to Care!! 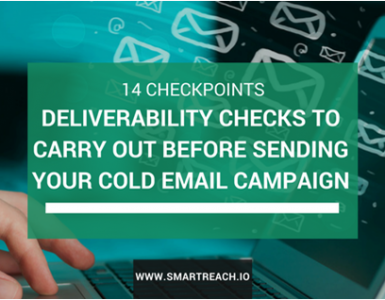 External SMTP for Cold Emails – Can It Improve My Deliverability? HOW DOES PERSONALIZATION AFFECT COLD EMAIL DELIVERABILITY!! What to Do When You Get an Interested Reply to Your Cold Email? !! !